b)Registered under Foreign Contribution (Regulation) Act, 2010,Ministry of Home Affairs, Govt. of India. 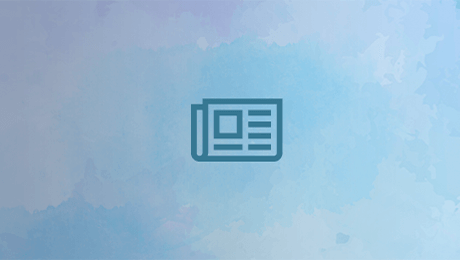 FCRA Regd.No.010190457. The vision of the children’s home is that every child will grow into a healthy, educated and proud citizen of the Nation. The mission of the children’s home is to provide children with benefits and services that meet their basic needs, enhance their human dignity and raise their educational standards in a meaningful, lasting way. » To provide children healthy and hygienic shelter. » To impart vocational skill development and training for the deserving children. » To provide clean and neat dress / clothing for the children. Sharon Welfare Society is a registered charitable organization (registered under Societies Registration Act Regn. No: 374/02). It runs a destitute children's Home in the village of Navuluru near Mangalagiri, Guntur District. It is also engaged in activities for the welfare of the poor and the deprived. During the year 2009 the Government had sanctioned one Balahitha Special School for 50 child labour under National Child Labour Project (NCLP) Government of India at Navuluru. The society is also registered under section 12A & 80G of Income Tax Act, 1961. Good citizens are essential for the welfare of the Nation. It is the duty of the parents to bring up their children to become such good citizens. For orphans, it becomes the duty of the society to take charge of them, give them shelter, love and affection, self-confidence and life-coping education. Without this support there is a risk that they will fall a prey to antisocial elements and they become antisocial. Keeping in view of the above, the organization has started children’s home named after Sharon. Dedicated and service-minded staff cares the children’s home. The children are brought up in an atmosphere free from prejudices based on caste, creed, gender, language, religion, etc. Our aim is to make the children self-reliant. We support them till they are on their own. We support their studies till they find suitable employment. We constantly identify special talents (e.g., music, dance, arts) in our children and encourage them in developing their talents. And our staff motivated the children about the value of education and their future prospects. Some of our sponsored children who are completed Class X public examination and secured more than 550 marks out of 600 marks. About 8 of such children benefited out of our educational sponsorship. These educationally excelled children are very poor and marginalized and living in miserable conditions and eking out their livelihood through daily wage earners. 3 out of 8 such children are single parent. 12.You can make a difference! » You could make donations whatever you can afford, which helps us to meet the daily needs. » You could be promoter by distributing our Brochures/Annual Reports and recommending others to donate. » You could be a volunteer spending some time daily or weekly assisting us in running the institution. S.No. Item-wise expendi Per monthRupeesPer Annum Rupees Euro P.A. We appeal to you/your organization to contribute your mite and affection to those destitutes and make them one of your family members or you can sponsor the child as mentioned in the vision and be a proud citizen. Please come and visit us at Navuluru. Please feel free to contact us for any additional information. If you feel our mission is sincere please come forward to stand by our side. We bank on your moral and material support. Sharon Orphan Home is run under the aegis of Sharon Welfare Society is a non-profit voluntary organization, solely dependent on donations/ sponsorships/ assistance from individuals and organizations. You could make donations personally by visiting our children’s home or if you are not able to visit us make your donation to the organization bank account. 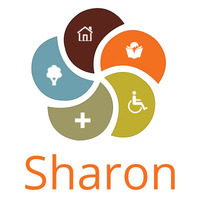 Note: Contributions to Sharon Welfare Society are eligible for tax exemption under Section 80G. Receipts will be provided for all donations. Looking forward to your earliest positive response and valuable patronage for this project. Please see visit facebook link of our organization.